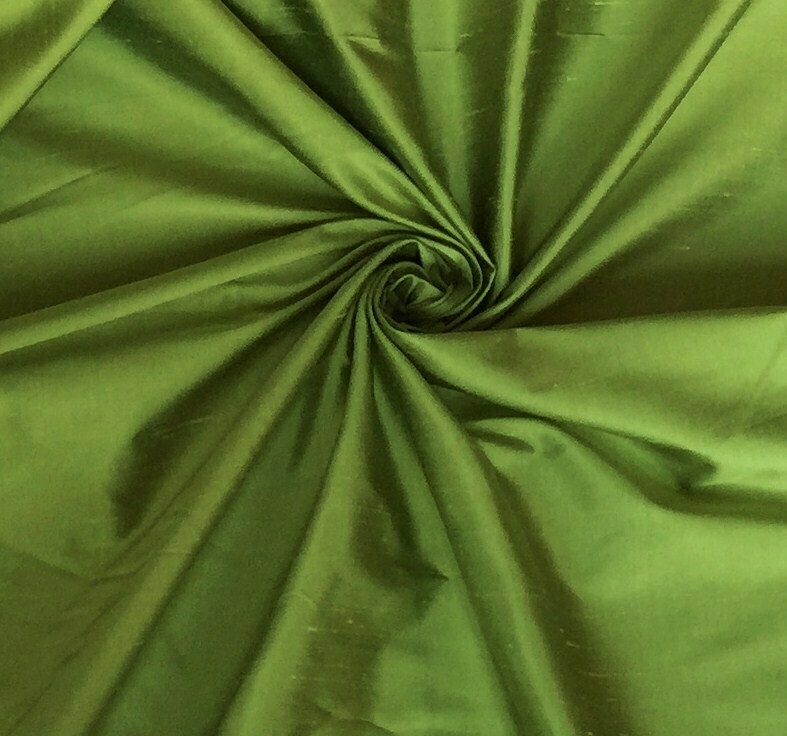 Lime Green 100% Shantung silk fabric. Brand New High-end Shantung Silk Fabric Yardage. 55 inches wide. *Shantung Silks are available in either iridescent or tone-on-tone colors. *Shantung silks are handmade and have a smooth finish unlike dupioni which has a texture. *This is a medium weight but on the heavier side Shantung silk. As one customer told us, "Yours is an excellent quality and it has a nice body to it and is not flimsy like many others". *It is highest quality Shantung you can find. *This Shantung silk is perfect for bridal & bridesmaids dresses, drapery, quilting, pillows, & chair upholstery. If you want to order a 2 inch x 2.5 inch Shantung fabric swatch to see the exact color, contact us. Swatches will be $1.50 per swatch including shipping. You can contact us for a custom listing or for a wholesale inquiry of 3 or more bolts opening order. We reply to questions quickly because we check our messages very often so do not hesitate to ask us. *1 to 3 yards $29.90 per yard + your shipping charge covers 2 to 3 days First Class shipping in the USA or First Class International service. *4 to 9 yards $29.90 per yard + your shipping charge covers 2 to 3 days Priority Shipping in the USA or First Class International service. $28.90 per yard for USA and for international customers. Ask us for international shipping quote.